Closed die forging is one of the forging methods that produces a desired part in which dies move towards each other and covers the piece in whole or in part. Closed die forging process begins with heated round bars, which is cut to the shape or size of the final forged part, then be placed in the bottom die. The impact of the top die on the billet drives it into the required forged shape. Steel Forgings from a few ounces to 60 lbs. can be made in this way. Closed-die forging can produce an almost limitless variety of shapes in most alloys, like of steel, aluminum, titanium and other alloys. These forgings are regularly produced on hydraulic presses, mechanical presses, and hammers. Because metal flow is restricted by the die contours, this process can yield more complex shapes and closer tolerances than open-die forging processes (see open die forging vs closed die forging). Most engineering metals and alloys can be forged through closed die forging technique. Those materials include carbon and alloy steels, and stainless, aluminum and copper alloys, and certain titanium alloys. Why Use Closed Die Forging? What are the Advantages? Closed die forging is capable of producing both symmetrical and non-symmetrical parts. While the initial costs can be quite high, it is still the most cost-effective method for high volume production. The closed die process is commonly found in the agricultural, electronics, aerospace, automotive, commercial, manufacturing, semiconductor, construction, hardware, and food processing industries. Closed die forging process can forge parts in most metal alloys. This kind of forging has low recurring costs for the different parts, making it one of the most economical methods to use. Due to its economical advantages, this type of forging process is very popular in the automotive and tool industries. In comparison to many other machined parts, closed die forgings have a 20 percent higher strength-to-weight ratio. This forging process requires little to no machining. As a result, people are able to save significant time and money when using it on a project. Closed die forgings of stainless steel, titanium, aluminum and other metals have the ability to create several different 3-D parts with a variety of shapes, sizes and weights. Due to its unique flexibility, this type of forging process is one of the best processes for designs and shapes that are elaborate and complex. Fly Forge, a professional closed die forging factory in China, has won good reputation in closed die forging field. Our closed die forging technique is able to produce various products with OEM service in carbon steel, alloy steel and stainless steel. “Made in China” has been the global trend since China joined WTO(world trade organization). Why Closed Die Forging in China? 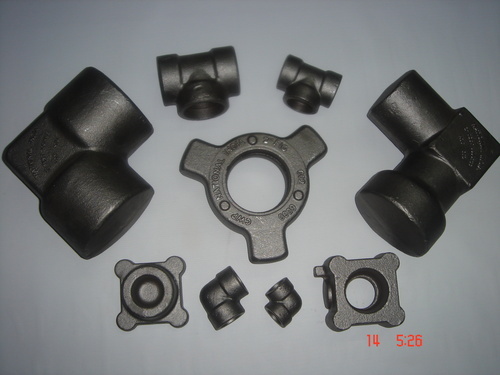 Price is the biggest advantage that attract overseas companies turn to China for their closed die forged components. People can save at least 40% cost by producing in China. Besides closed die forging, Fly Forge can also supply other services, like machining, heat treatment and surface treatment, and more. Located in Ningbo, China, our forging company can enjoy convenient water transport and deliver quality products by less freight cost. Fly Forge can help our customers to design or redesign the component in a cost saving way. Our engineering team will provide the most professional solution if the original design is not so ideal. 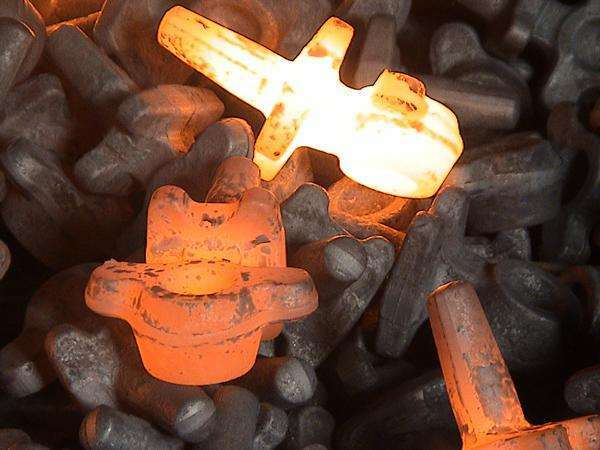 Sometimes, the component may not be suitable for closed die forging method due to its small quantity or special shape, in this case, we will suggest to consider casting method, pls visit www.investmentcastchina.com/casting-china/. Our company started exporting business since 2001, so we well know the whole exporting procedures and can offer prices in FOB, CIF and DDU according to different demands. Last but not least, as a trusted supplier, we promise that we will keep all information from our customer private and not leak any information for other use. Currently, we mainly export closed die forged products to markets in America, Canada, UK, Australia, Italy, South Africa, ect. If you have any inquiry on closed die forging, and would like to source a reliable supplier in China, pls do not hesitate to contact us. Looking for a quote for closed die forging on a part for quantities of 10,100, 500, 1000 and 5000 . The part is stainless steel 14″ x 14″ x 0.75″ and looks like a cross. It would require post process machining as well to get some of the higher tolerances. Please reach out to me for part files as I can’t attach the files here. Thanks for your contacting! 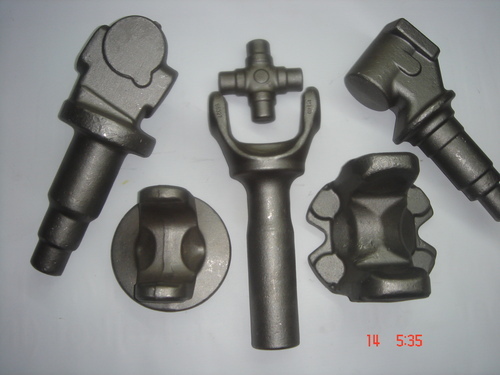 Yes, we are able to supply you closed die forged stainless steel parts with post machining. To quote accordingly, pls send the files to cathy.forge@cnool.net. We will go back to you later!